The Huffington Post will continue to cover Donald Trump, but the popular news site is done treating him like a legitimate presidential candidate. 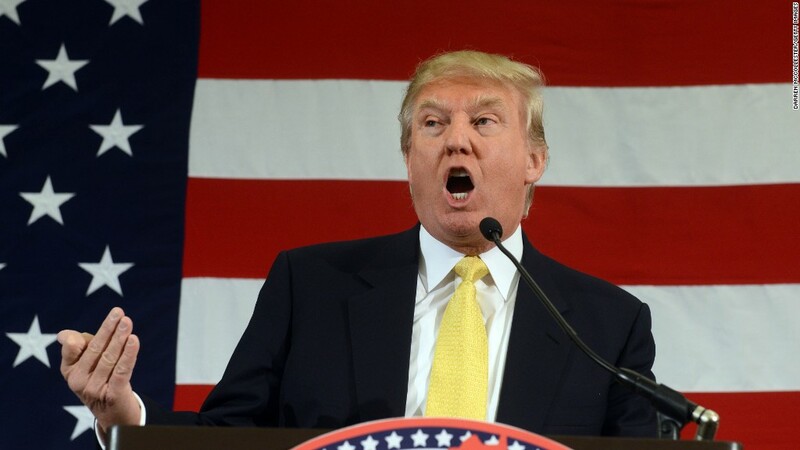 Trump responded dismissively to HuffPost's decision. "The only clown show in this scenario is the Huffington Post pretending to be a legitimate news source," Trump's campaign said in a statement released Friday evening. The decision comes a day after a reporter for the site interviewed Trump on the campaign trail in New Hampshire. That story was published Friday in the entertainment section. The move also comes as the real estate mogul and reality television star is leading most of his Republican rivals in the polls. In fact, Trump touted his top spot on HuffPost's own polling aggregator just a couple weeks ago. "We believe he's partly the media's creation," said Arianna Huffington, the HuffPost's editor in chief and co-founder. She said the site's editors have been having a "lot of internal conversations about how to cover Trump." It also came up when Huffington met with outgoing Bloomberg Digital editor Josh Topolsky. She said Topolsky asserted that Trump coverage should be relegated to the entertainment section. When Huffington had a subsequent meeting with her lieutenants, they all supported the idea, she said. Trump wouldn't be the first celebrity to pull off an unlikely electoral triumph. 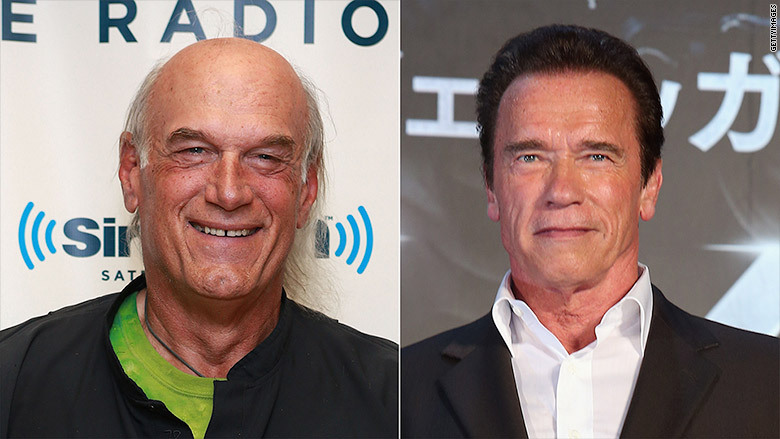 Just ask voters in Minnesota and California, where former pro wrestler Jesse "The Body" Ventura and actor Arnold Schwarzenegger served as governors. The liberal site drew applause from some conservatives and Republicans for the move. "I don't always agree with the [Huffington Post] but today, I salute them," tweeted Rick Wilson, a GOP media consultant. The reaction in the media world, however, was mixed. 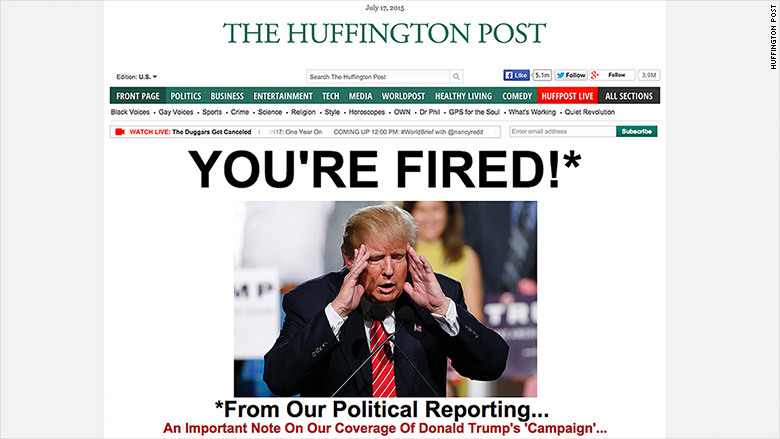 Jay Rosen, who teaches journalism at New York University, called the decision "brilliant" and said that HuffPost moved "against automatic thinking and herd behavior in campaign coverage." Washington Post media critic Erik Wemple called the decision a "Trumpian stunt" by the Huffington Post. James Warren, the chief media critic for the Poynter Institute for the Media Studies, said that HuffPost had erred in its decision. "You might think Trump is a buffoon," Warren wrote. "But he may have, for the moment at least, touched some nerve of dissatisfaction, perhaps partial explanation of his decent showing in some early Republican polls."